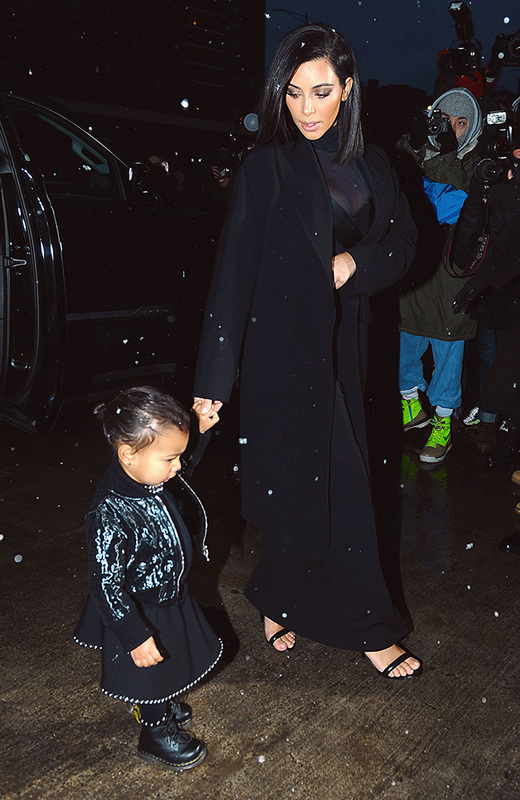 We've covered the sartorial pursuits of the entire Kardashian-Jenner clan in the past, and now it's time to turn our attentions to the family's littlest member: North West. 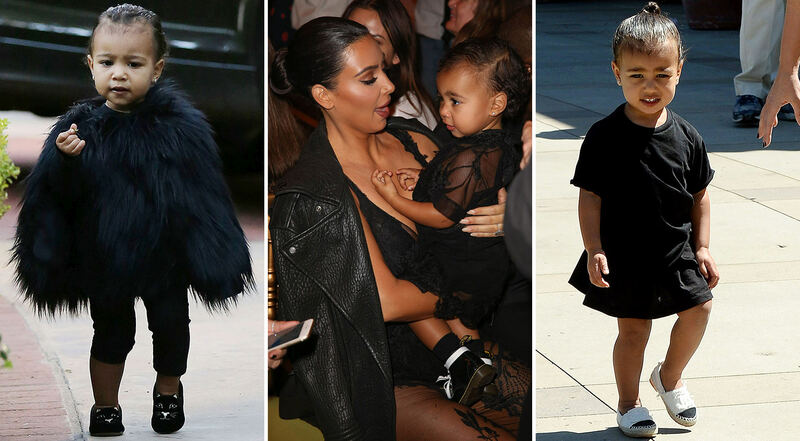 Whether you love 'em or hate 'em, there's no denying that Nori is just about as cute as a toddler can be. 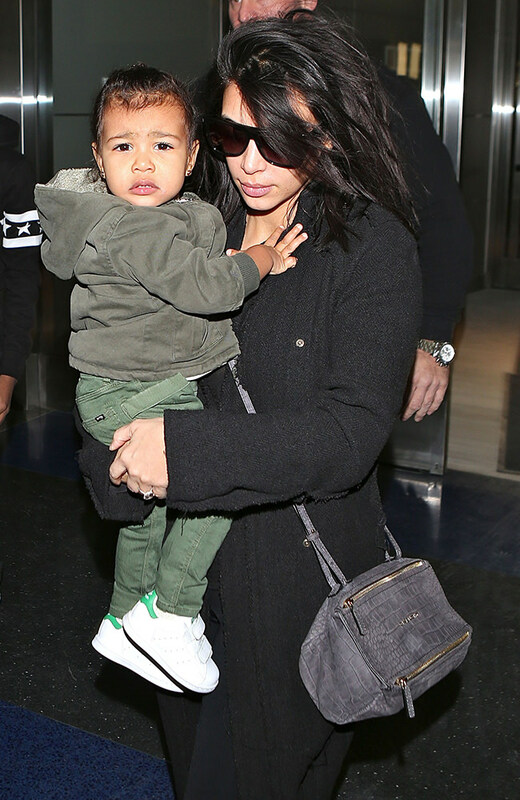 When you're the offspring of Kim Kardashian and Kanye West, it's hard to avoid fashion statements, even at the tender age of 21 months. 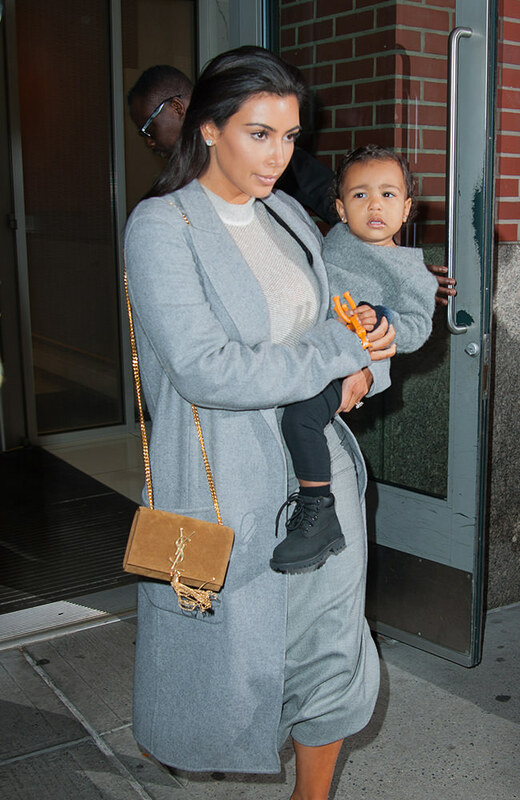 In a recent article in Vogue, Kim explains that her daughter really loves footwear; everyday she "wakes up and says ‘shoes.’” She has the budding collection to go along with that anecdote, which you can see below. We'll warn you: this gallery might cause a cuteness overload. 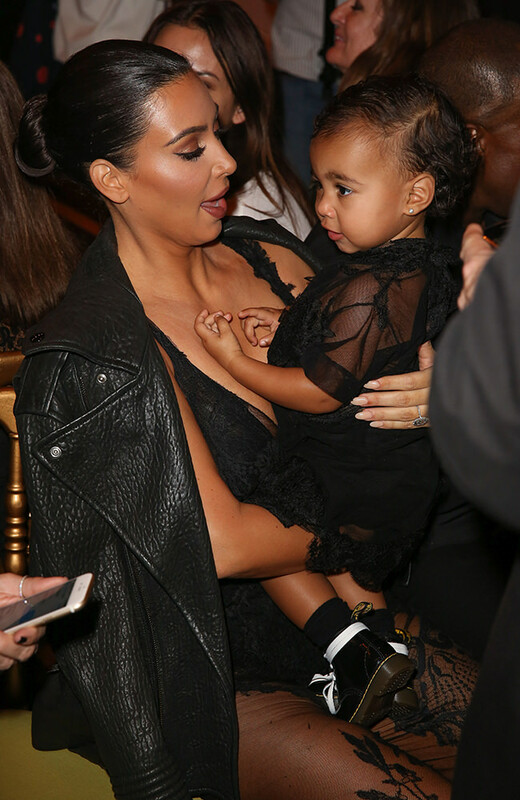 We'll also warn you that North's facial expressions are priceless. 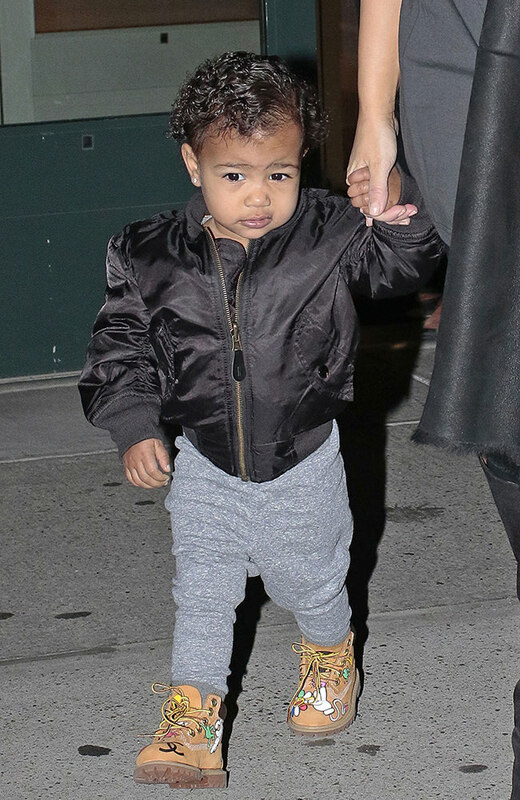 It looks like Nori's Timberlands have been customized, but I don't think this paint job was done by baby North herself. 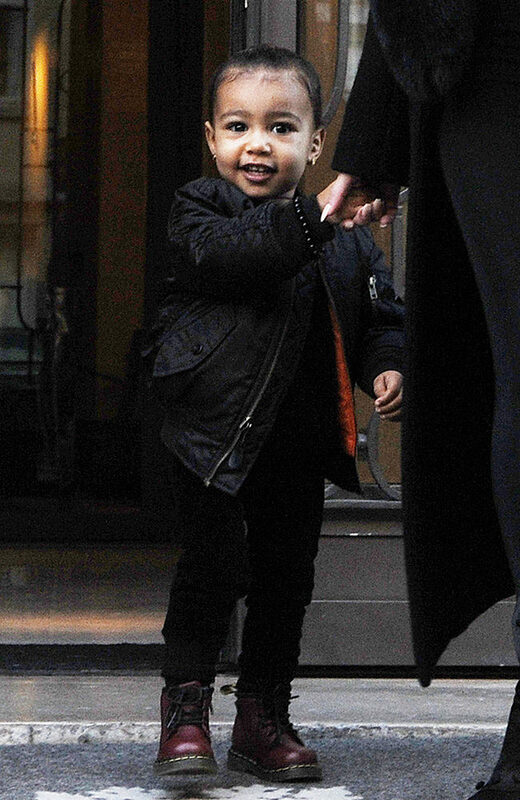 Just try staying mad while looking at photos of Nori. Even if she's not into it, she makes one cute ballerina! 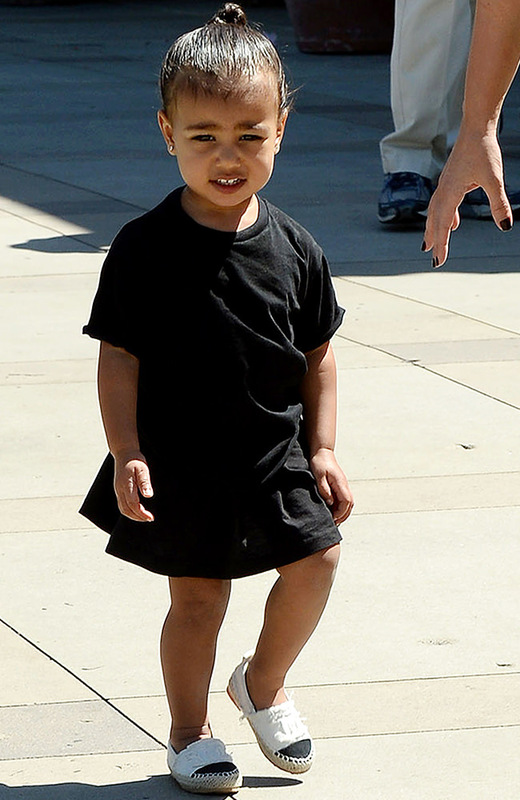 It looks like North loves Chanel bags and espadrilles--a girl after our own hearts! 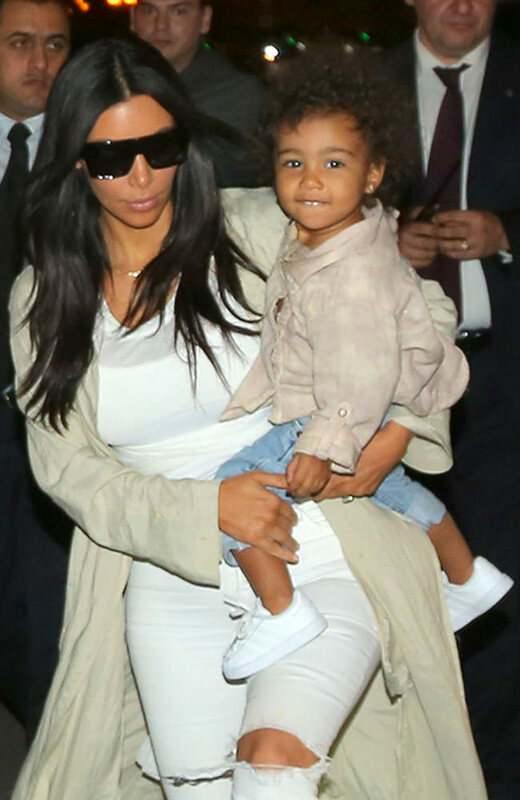 Does anyone else agree that she looks like Tiny Kim in this picture? This isn't the last time you're going to see coordinating black outfits of the famous duo. 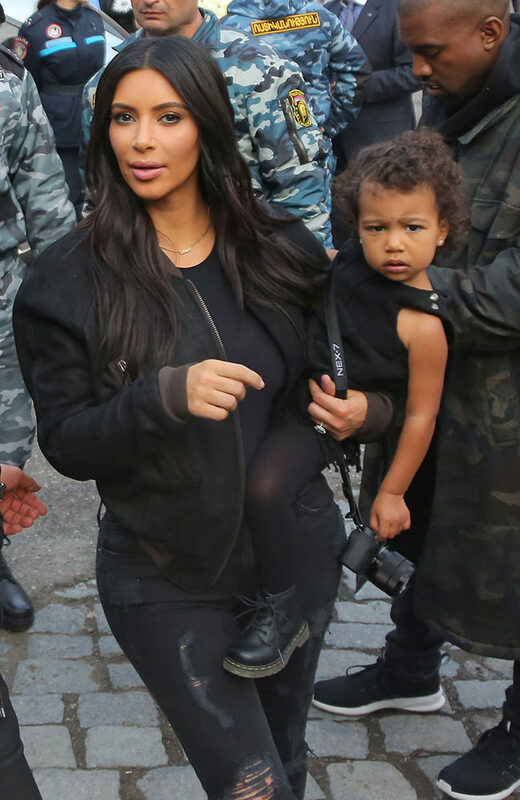 Kim and North attended the Givenchy Fall 2015 show and North is rocking more Givenchy than I will probably ever own. 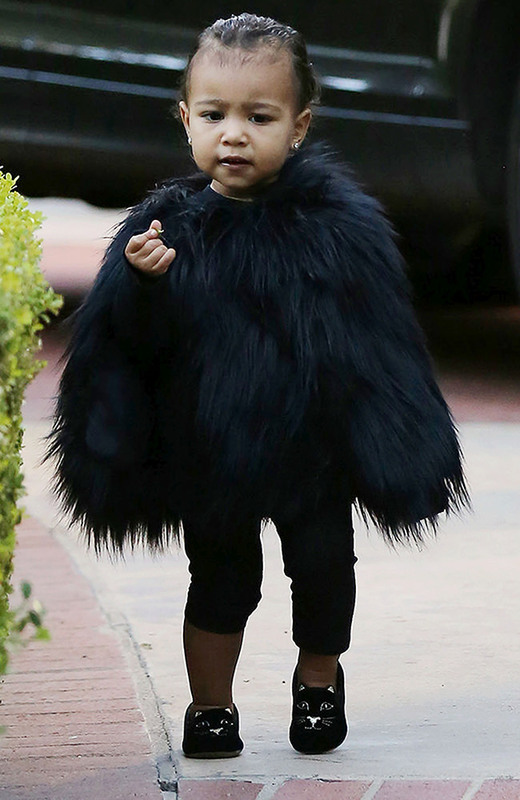 I am okay with admitting that I would wear this outfit in an adult size. 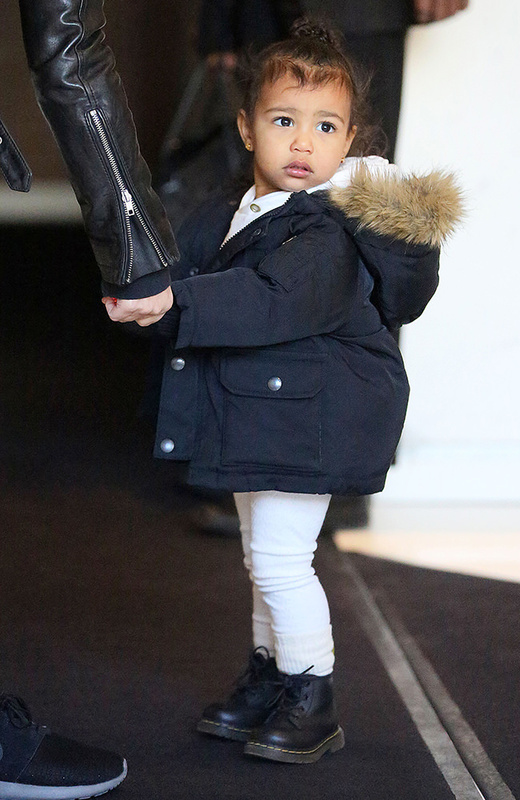 She and I both share a love for the Adidas Superstar. 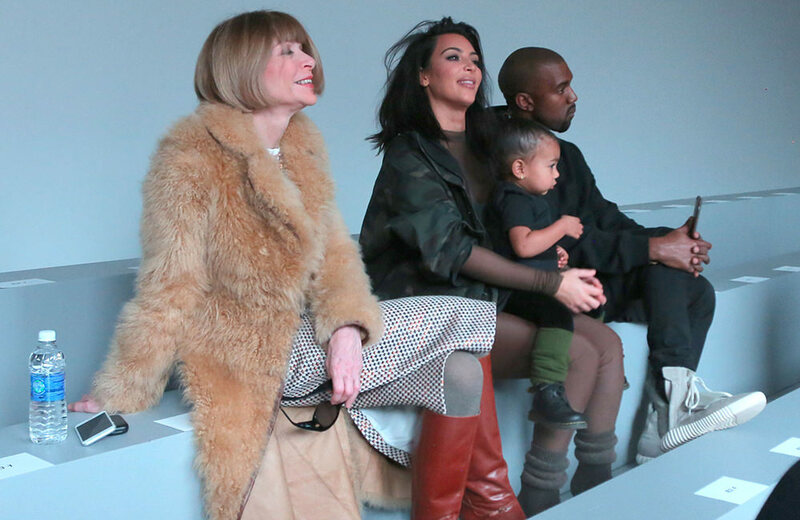 She even gets to sit with all the fashion cool kids. 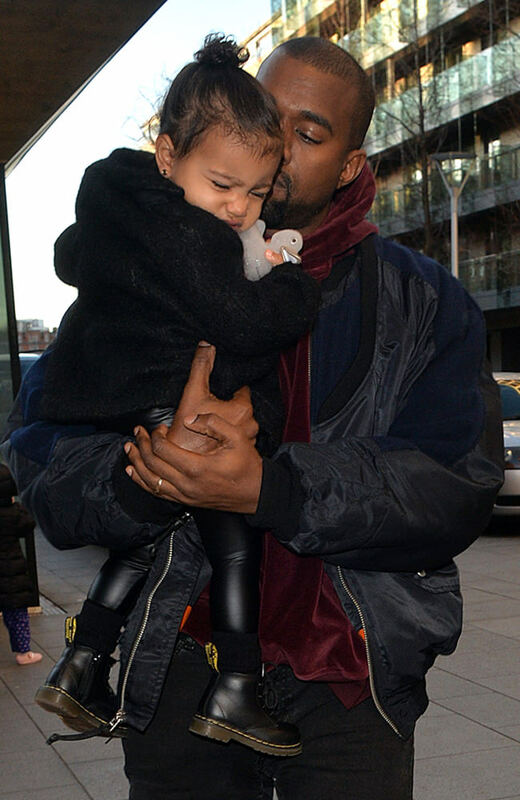 I really just want to know why she's holding just one sneaker. Fact: a lot of squealing went on during the making of this gallery. 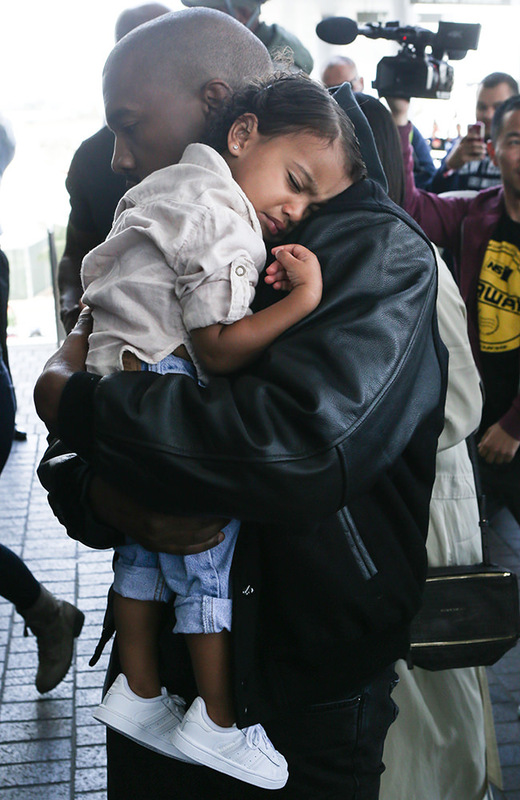 I'm sure some celebs wish they could snooze in front of the paparazzi, too. I mean, that face says it all!